Manchester Sep 14 (IANS) Manchester City manager Pep Guardiola on Friday revealed that he would be interested in taking up the coaching job for an international team. "If the opportunity came I would like to be a national team coach. 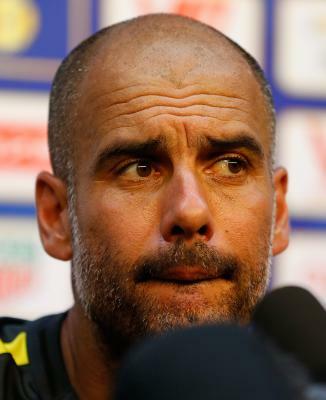 If it can be done I would like to do it " Guardiola told the Universo Valdano show. Stressing that he enjoyed living abroad Guardiola refused to name any specific country he would like to be associated with in future. "You learn languages cultures to travel and see other places is nice also for the family " Guardiola said. The Spaniard though refused to coach Argentina. "No for sure not there " he said referring to the intense demands of that job. If rumour is to be believed Guardiola had been shortlisted for the Argentina coach s job after their World Cup debacle. Guardiola added that he would like to end his coaching career where it began with Barcelona s reserves. "I will finish where I started; my final steps will be with youth teams. Hopefully it will be Barca s " Guardiola said.